Google says that they’ve done their rethinking from the ground up, which is debatable, but they’ve certainly created some waves here with the new productivity-focused tablet. Starting at $499 for the tablet it will offer 308 PPI, an sRGB color gamut, 500 nit brightness, 3GB of RAM and come with a USB-C connector. The Bluetooth keyboard, however, is $149. The keyboard has 19mm pitch across the small width because Google have moved some keys onto the screen which means there’s less keys to fit into the space. The 1.4mm travel keys are said to use the same mechanics as on the Pixel Chromebook, which is a good thing. The keyboard charges inductively from the tablet and the tablet also knows when it’s attached out-of-the-way on the rear of the tablet. There’s 2-months battery life on the Bluetooth keyboard. 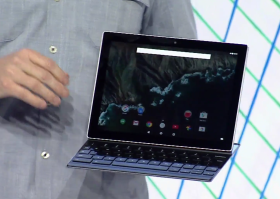 There’s no kickstand and Google demonstrated some impressive magnetic holding power on the stage. This isn’t a Lenovo Miix 2 10! The screen can go all the way back to 135 degrees. Storage is said to go up to 64 GB but there’s no MicroSD card slot so be aware of the limitations there if you’re planning on doing a lot of creativity or thinking about mobile photo and video production. Weights weren’t mentioned and other specifications are missing too because this product won’t be available for a few months. Apparently it will be available for the holiday period though. Note that there’s no pen support so this isn’t a direct competitor to the iPad Pro and the pricing puts it well above most 10-inch Windows dockables. For example, the HP Pavilion X10 is under $250, including the keyboard! Small screen, no stylus, compromised keyboard and pricey. Wake up Google. I can see you have never tried to use a laptop on a plane. 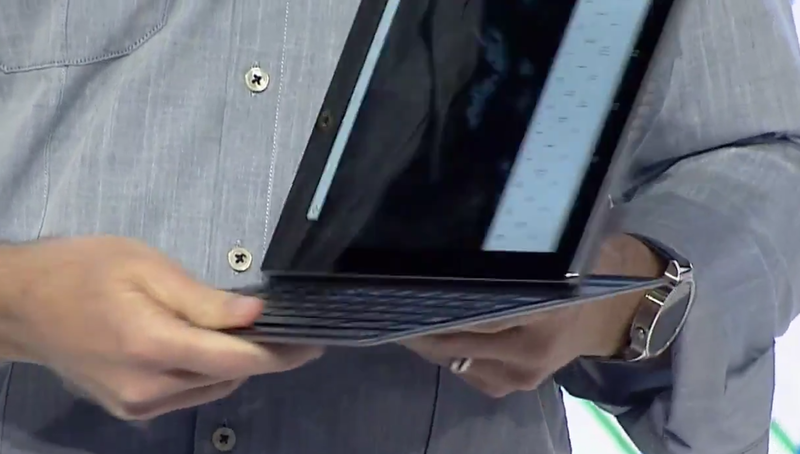 13″ laptops don’t work there when the person in front of you tries to lean back at all. Since neither of us has even tried this keyboard, it is almost identical in size and key layout to Dell’s keyboard for the Venue 7000, I don’t know how you can say it is compromised. Google has woken up and is not trying to sell us $1000 Chromebooks. 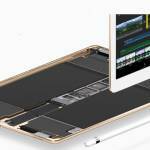 This is what it will take to pull Android tablets into the business world. 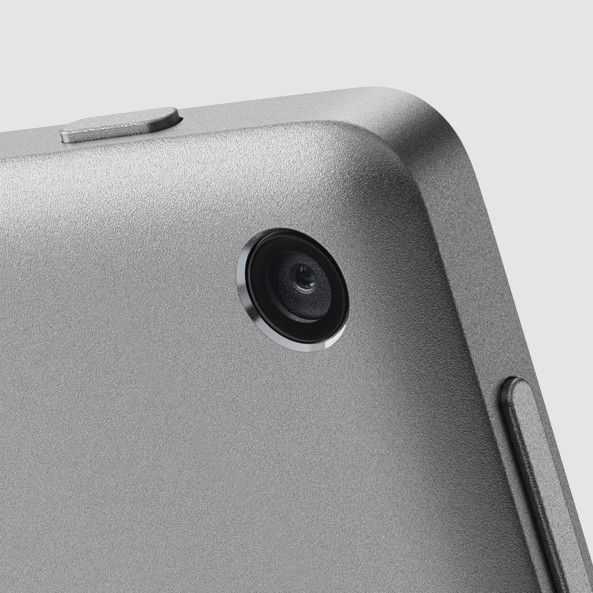 Closest thing to the Viliv devices is probably 8″ Windows tablets (VivoTab , Iconia Tab, …). 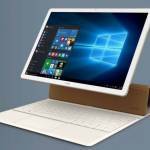 Although we should see 7″ devices coming for Windows 10 as well. Approaching the Pixel C from the standpoint of using the TF701 as my daily driver – the Pixel C is pretty well thought out. Starting with the pricing, I’d argue the $650 price point of the Pixel C is near target for the premium 2-in-1 tablet market segment. Historically the $650 price is where the TF701 launched in 2013, as well as the TF700 in 2012, and the Samsung Galaxy Note 10. Further support is seen in the current pricing of these prior products where the TF701/TF700 still sell on Amazon in the $350 range for just the tablet, with another $100+ for the keyboard dock at 2 – 3 years after launch. The Jide Ultra which uses similar to slightly inferior 2 year old technology as the TF701 is also priced at $399 for its launch. 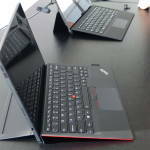 There are obviously cheaper alternatives, the TF103, TF303, HP x2, Nextbook Ares 11, etc but these don’t include the premium features of the TF7 series and Pixel C and target a lower budget segment of the market. 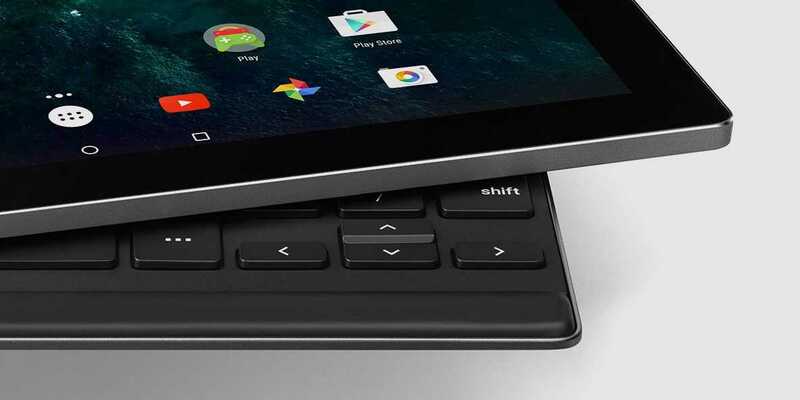 The Pixel C design has a few well thought out aspects especially when examined in the context of Asus’ experiments with keyboard pairings. 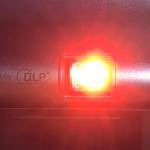 Purely mechanical hinge mechanisms are bulky and don’t give the most soild connections – shifting the machine, or bumping the screen can disrupt the connection resulting in the loss of keyboard functionality. The transition to magnets was a nice touch in improving connection stabilty as seen in the TF303, and allowing for directional reversibility in docking the tablet like the HP X2. 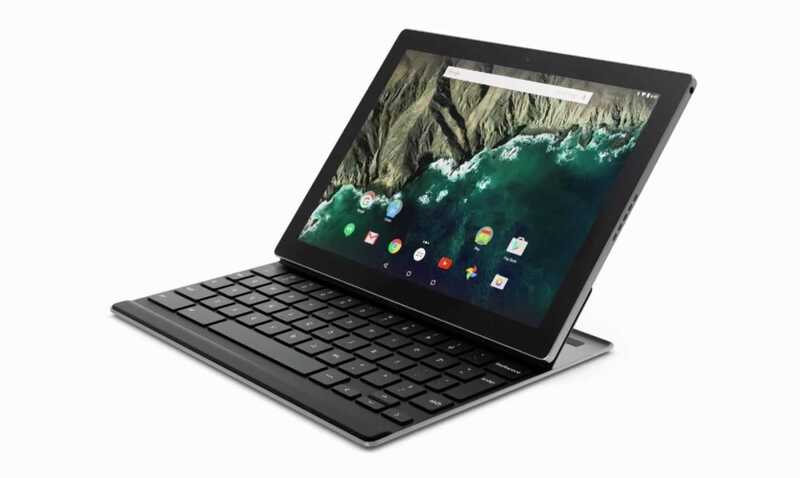 The Pixel C magnet design allows for all the functionality of the X2 design while removing the external hinge and placing the screen closer to the keyboard keys – this allows for more screen tilt in a shorter horizontal distance for cramped spaces like airplanes. The lack of a touch pad, in my opinion, is really a non-issue. The trackpad in the TF series would often pick up wrist movement during typing and present a horrible writing experience from cursor movement or accidental text deletion to the point where by default I leave the trackpad turned off. In addition I believe the pointer is still a second class citizen in Android but thats a seperate issue. I think it is a better use of space to eliminate the trackpad for a better typing experience. While full size keyboards are seen in 11″ form factors, 10″ forms have always had non-standard and cramped layouts so any efforts to improve this are welcome. However there are some disappointing regressions. 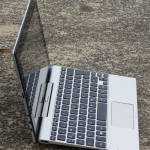 The Pixel C’s lack of an electrical connection between the keyboard and tablet negate the possibility of an extra battery, extra connectivity or more importantly a way to power and communicate with the keyboard itself. 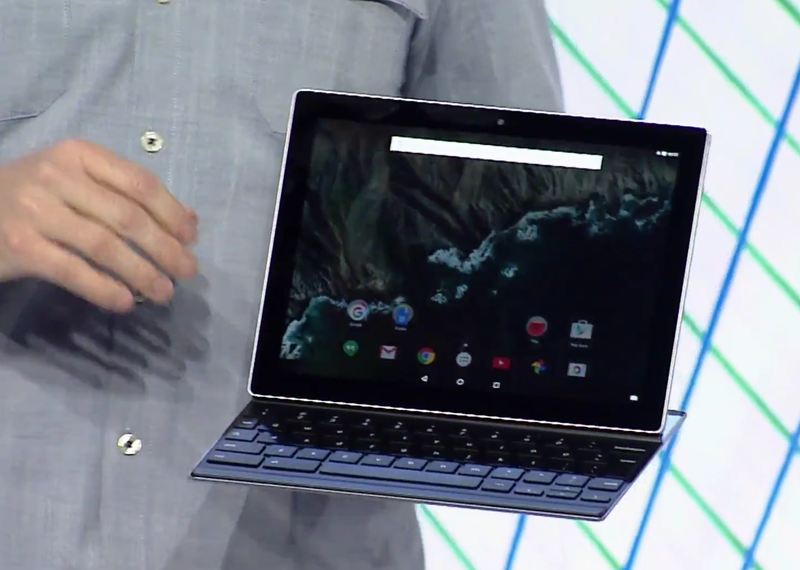 However the Pixel C has dealt with this much more elegantly than the Asus T300. 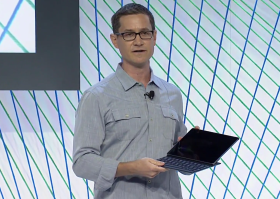 The Pixel C uses inductive charging for the keyboard when in close proximity while the T300 requires a separate cable from the keyboard. Another disappointment in functionality is the lack of an active pressure sensitive display for stylus usage. The android ecosystem has a good variety of amateur art applications that are mostly held back from their windows and apple counterparts due to hardware constraints. Overall, with Asus largely exiting the high end Android tablet 2-in-1 market over the past 2 years, I’d say the Pixel C is nice successor to the TF70x line – and while not perfect – I expect after launch it will be the best all-around 2-in-1 Android tablet. though my experience comes from the original tf-101. I fell so much in love with that thing that I stopped using pc’s for almost 2 years. Time ran out of it eventually, but i hacked it to the max before then. when the docks battery died i pulled it out and found that that left room for a 250 gig hdd. The software I found on xda ironed out most of the originals shortcommings. For its time it was a little monster that could. But then the age of ultra books happened and it had to step aside for the new. As a comparison the comming Lenovo Miix 700 seem a way better buy. Granted, I believe Android is far ahead when it comes to touch interface. Windows is best served with mouse and keyboard, and you can get a ton of capabillities from a full pc. 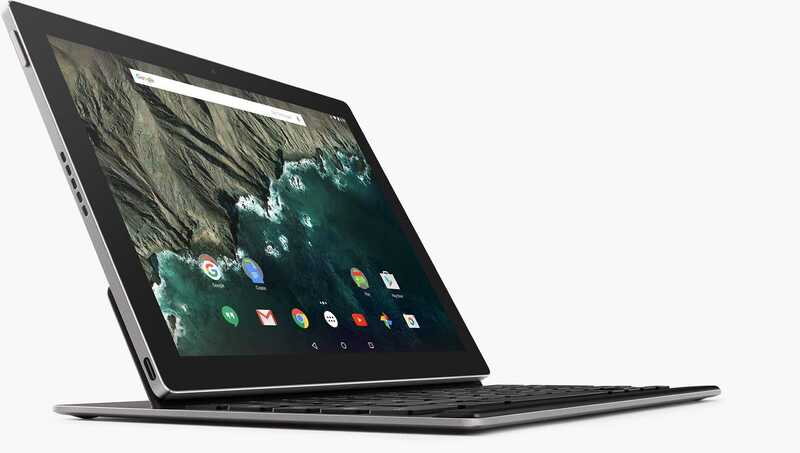 For 649 dollars you do get some pretty nice hardware with the Pixel C but for 50 bucks extra you get a 12.5 inch hd+ screen, a core-m5, 4 gigs of ram, and 128 gigs full ssd speed storage. 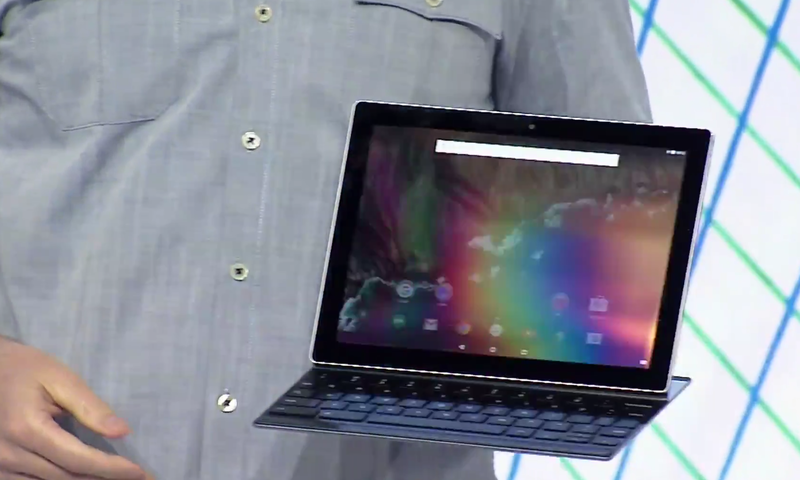 I’m guessing the Pixel C is a great tablet, could be a fine chromebook, and might even be ok as a kind of laptop. But with the miix 700 you’ll get an ok tablet, a good chromebook, a good laptop, and probably even a nice desktop. In the Pixels favor is the gaming. The pixel C is gonna run any android game like a champ whereas a windows tablet is seriously challenged to run pc games. I’m very curious to see if a skylake core-m could run well with discrete graphics, but I doubt we’ll see that from any of the manufactures. Long battery as a tablet and acceptable graphics power for gaming. Or maybe it’ll be too expensive compared to what you get per dollar, but it does feel like an attractive option on paper. My personal plan is to hook up a Miix 700 with a 25 inch 21:9 monitor and a 3tb drive at home, but i also plan to pay a premium for the m7 model with 8 gigs of ram and 256 gig storage. That’ll probably scew any comparisson to the Pixel C and there will be those who’ll say that for those money there are a lot better machines out there, but I like what the Miix is and does; light and silent, relatively strong, and very flexible. windows 10 is a little different but i always felt that the windows 8 metro was the best tablet OS on the market, with the gestures and intuitive UI. I don’t understand why this is considered overpriced. 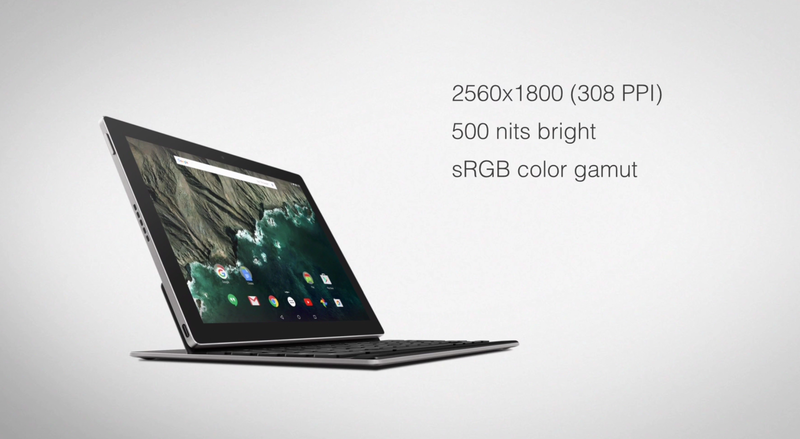 This is not a Nexus but a Pixel with premium build like the Chromebook Pixel. An Ipad Air with lesser storage with 16gb at 499 is considered normal. Just because it’s Apple? I don’t get it. It’s overpriced because it’s a 10-inch 2-in-1. In this category there is no market for expensive consumer products. It’s nothing to do with brand. Apple, IMO, aren’t in this market because they know that it’s not where you should try and sell a premium product. A 10-inch super-light tablet is one thing but don’t try and sell as a pro products on the merits of a restricted keyboard. The keyboard is an accessory, like the Nexus tablet line has had with the 10 and 9. It isn’t a necessary element curcial to it’s operation. 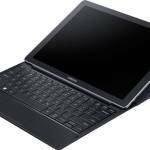 Why is it that the Samsung Tab 2 review on this site didn’t mention how expensive that is. Same price but the Pixel C has a much nicer build quality and probably the best CPU/GPU available today for Android tablet. Also this tablets real purpose is a test bed for Googles conversion project to migrate Chrome OS into Android. 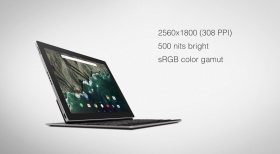 Why do you think it comes with Android and not ChromeOS. Like the Pixel ChromeBook before it, this was produced specifically for Googles developers, they release them to the public to help alliviate costs of manufacturing. It was never intended to sell in any large volumes, hence the zero marketing. You not liking and stating as much is just a moot comment, makes no difference, even if you convinced everyone who was interested in it not to buy one, Google would still produce it. As it is again, foremost a development machine. That being said, it is the best Android tablet on the market, 500 is a good price. « Announcing a new role, new partnerships, new projects.